Is everything sudden turning green at your house? My tulips and daffodils are up, there are flowers blooming next to the house, and the grass is so green this morning. Summer is coming! The dogs want to be outside all day long, and I am finally able to set up my lawn swing to enjoy the beautiful sunshine! So... are you ready for the good weather? 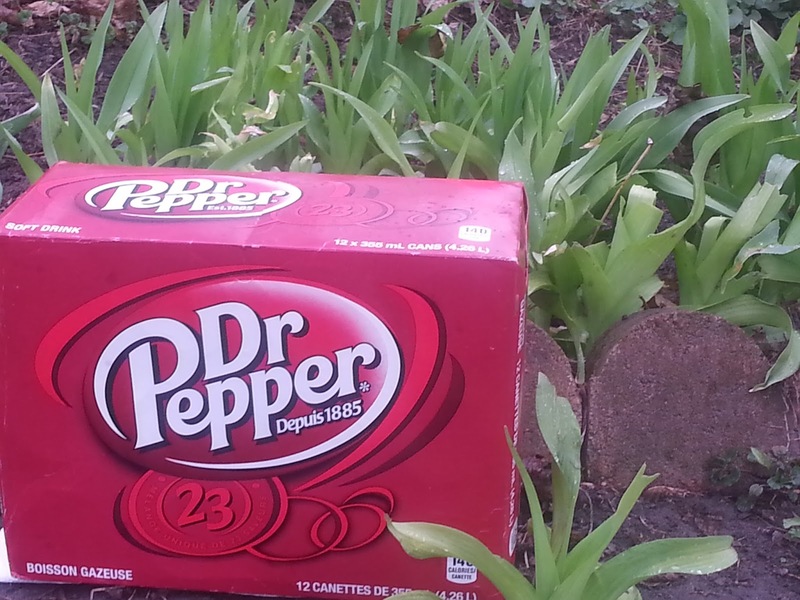 How would you like a One of a Kind Summer, thanks to Dr Pepper®? Everyone deserves a One of a Kind Summer. So treat yourself to a One of a Kind taste and enter to win a chunk of the #SummerFUNd. If you won $50 prize - would you use it to go to the movies? Put gas in your car? Or for a fun night of dining out? If you won the $250 prize - would you use it to shop at Walmart? Take the kids to the amusement park? or would they rather go to the zoo? And if you won the $2,500 prize - where would you go for a fabulous vacation?? Have you entered their contest yet? 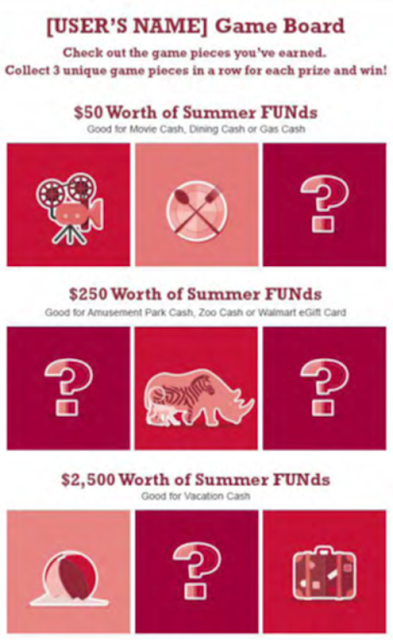 Have you won anything yet with the Scratch'n Win? Let us know - we want to celebrate with you! 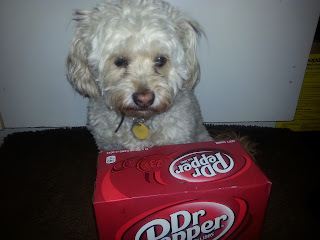 Dr Pepper® brings back such memories of my childhood! 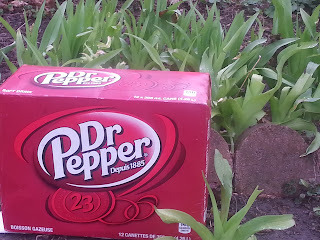 Dr Pepper® came in glass bottles back then, and my brother and I would collect bottles from the neighbours and the alleyways behind the stores. We would take back them to the store for our spending money. Drink Dr Pepper® at 10, 2, and 4. Anybody remember that? Tell us why do you love Dr Pepper® products! Which is your favourite? Dr Pepper® - Diet Dr Pepper® - Dr Pepper® Cherry? Do you prefer bottles or cans? 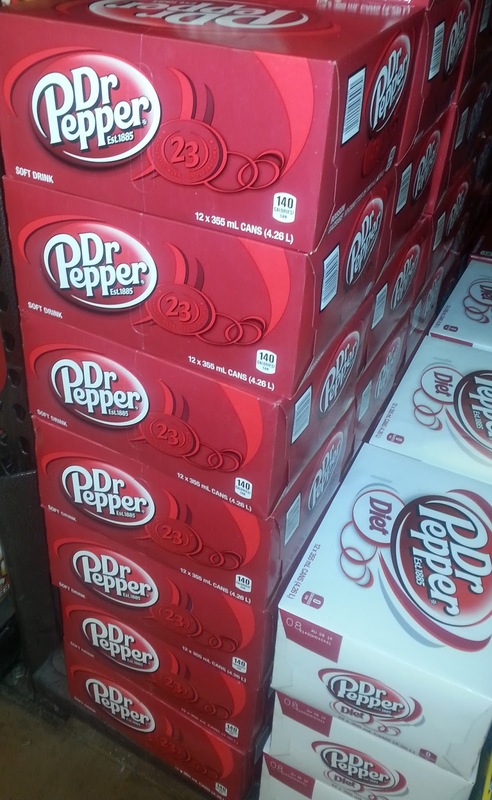 Get started by heading out to Walmart and purchase your favourite Dr Pepper® product(s). 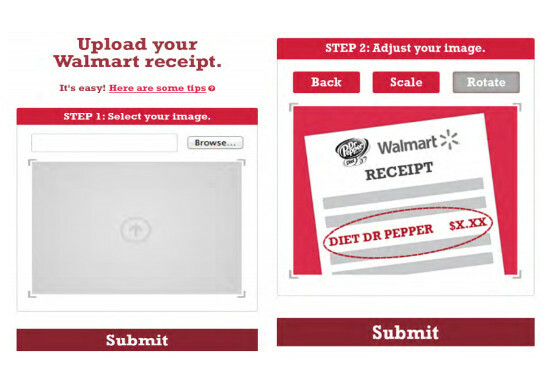 Then, upload your Walmart receipts and collect your game pieces to win $50, $250, or $2,500 in summer prizes! Between the instant win chance and the receipt upload chance, you can get a lot of potential entries! Here’s how to enter for the #SummerFUNd giveaway! If you are new to the #SummerFUNd contest, sign up here with your Facebook account or use your email address. 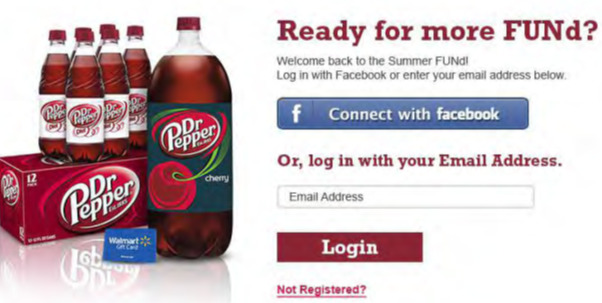 Once you are registered for the Dr Pepper® giveaway, you get the chance to win a $5 Walmart eGift Card instantly with the Scratch and Play, NO PURCHASE NECESSARY! Once your receipt has been successfully uploaded you can view the game pieces you have earned! Collect 3 unique game pieces in a row to win a prize. 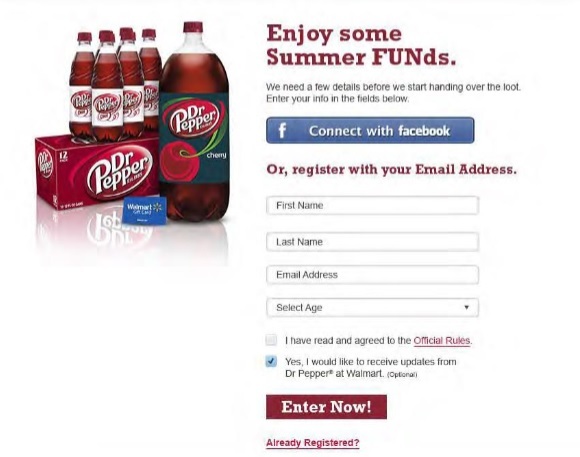 PLUS - if you have $10 or more in purchases of Dr Pepper® on your receipt, you get two sweepstakes entries! AND REMEMBER - You can upload your receipts to earn game pieces every day - from May 2 – June 2, 2016 ! • Enjoying all the freebies? Want to keep up with the latest free stuff, deals, coupons, and other ways to save money? Subscribe to ' email updates or RSS Feed! - it's free! • Check us out on Twitter and join in the conversation of even more great freebies, deals and coupons on our Frugal Freebies fan page on Facebook.